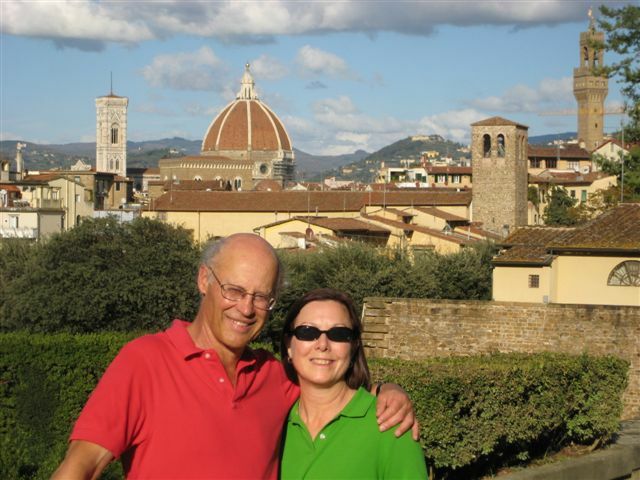 I learned something new from Deborah Madison’s Vegetarian Cooking for Everyone. I have often used this book for fresh ideas for vegetables. Last night was the first time I noticed this tidbit about cauliflower: you can eat the leaves and stems! 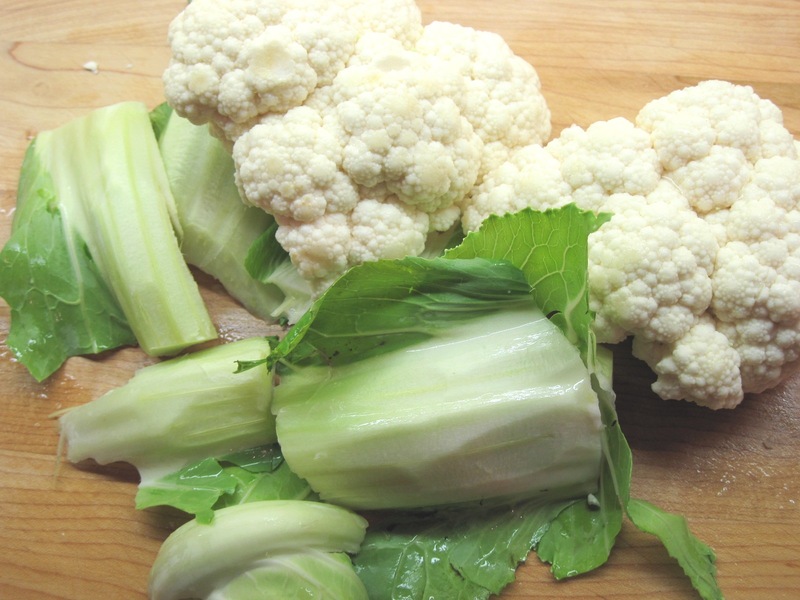 The cauliflower that I had bought was particularly fresh-looking, with lovely leaves and stems. 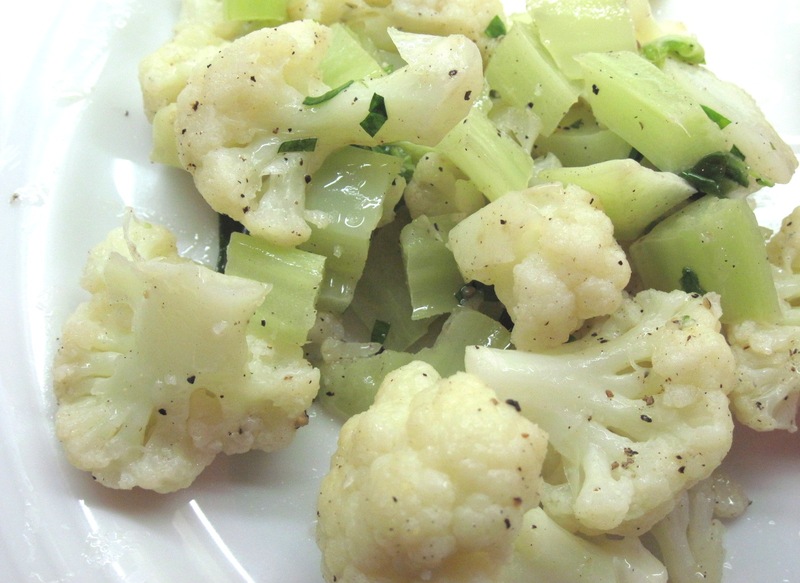 So I included them with the florets to make steamed cauliflower. It did make for a much more interesting presentation. 1. 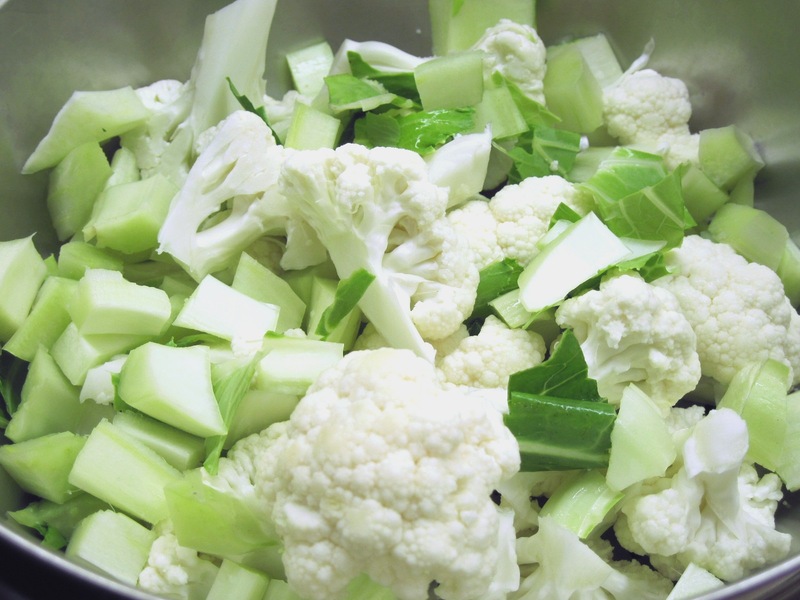 Remove the leaves and stems from the cauliflower and wash all of it well. 2. Peel the tough part off of the stems and cut them in small pieces. Chop the leaves. Break the cauliflower into small florets. 3. Put all in a vegetable steamer. 4. Steam for 6 – 8 minutes until tender. 5. Heat the butter in a large skillet. Add the cauliflower and tarragon and cook for a minute or so, stirring, until the cauliflower is well-coated with the butter. 6. Season to taste with salt and pepper and serve. Thank you, Kath. These are wonderful recipes. I am now hungry again for another meal now at this 11:29pm hour because these recipes look so good. Keep up the incredible work. I love the kitchen in our house & what my wife is able to “rustle up” to keep us fed. I am sharing these with her. Thank you! Thanks for your kind words, Forrest! Say “Hi” to Cindy!